… I think 2 years in the land of Beatrix Potter is rubbing off on me. A boy, walking alone on a felltop stops to look at a sheep. It stares back. Boy: You seem calm. Are you happy? Boy: Oh… it means lots of things. Sheep: So “happy” is a concept? Boy: Er, sort of. It’s an idea about a bunch of feelings. Sheep: So you want to know if I’m experiencing the idea of “happy”? Boy: Not quite, I guess I was asking about the feelings. Are you in pain? Boy: Are you comfortable with your life? Sheep: I’ve a bit of an itch. Boy: No, I mean comfortable with what you do! Are you doing enough stuff? Sheep: Is “enough” another idea? Boy: Yes. But are you worried about death? Sheep: I know it happens but I don’t know when. What’s there to worry about? Boy: I think we worry about death a bit as we don’t know what the purpose of life is. Sheep: Is “purpose” another of your ideas? Sheep: Is worrying an idea too? Boy: It’s more like a feeling. Boy: A feeling of going round and round in circles with my ideas, and this then tensing the muscles in my chest. Sheep: So you create a purpose-idea to experience a happy-idea that is difficult because you have created a worry-idea and end up tensing your muscles? Sheep: So why do you focus on that happy-idea if it tenses you up? Boy: Maybe because it’s what grown-ups do. But are you saying you don’t think? 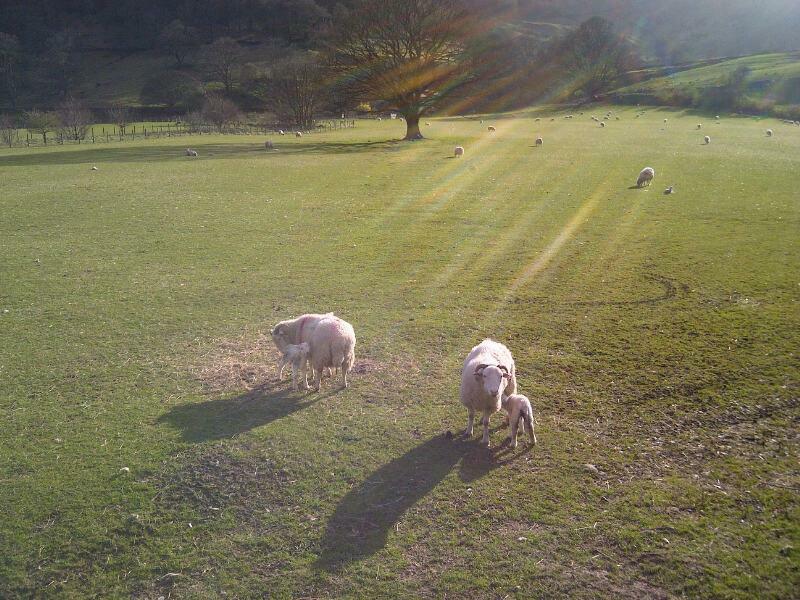 Sheep: Baa! Animals think too. Didn’t you notice? But I don’t create ideas. I appreciate stuff I like, and avoid experiences I don’t like. Just look at the sunset! Boy: Yes, it’s nice. But isn’t that a bit selfish? Sheep: There you go again with another idea! “Selfish!” My positive feeling from looking at the sunset is the Universe’s experience as well as mine. I’m enjoying the universe enjoying me enjoying the sunset. Wjy else would it have made it so beautiful to us? Boy: So are all our ideas and concepts bad? Sheep: No, your ability to create concepts and ideas has given you your technology and culture. I wouldn’t be here otherwise. Neither would so many of you! Your ideas of geometry and building mean I have a nice warm barn for the winter, if I’m still here. Boy: OK, I get it. Some ideas are useful and some are not. It’s what they do to us, and what we do with them, that matters. Sheep: Nice. Will you experience a happy-idea when you eat me? Boy: I did before. But I’m not sure anymore. Next year the University of Cumbria launches the Institute for Leadership and Sustainability. As Director of the new Institute, I am currently welcoming inquiries about potential PhD research. We will accept six PhD students, whether full time in residence (typically 3 years), full time away (typically 4 years) or part time (residence or away (typically 5 years). There is one opportunity for receiving a bursary to cover fees. 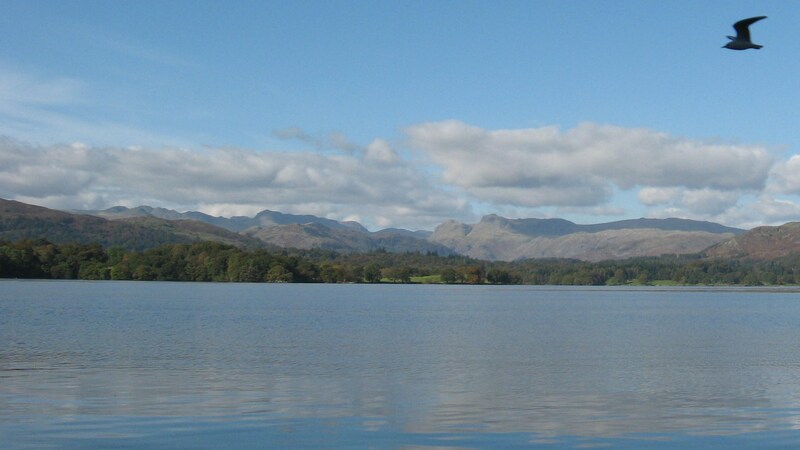 The Institute is based in the heart of the beautiful Lake District in the UK, in the village of Ambleside, with Campuses also in Lancaster and Carlisle. The Institute has a specific research focus, about which it welcomes proposals. This is in the field of “transition”. All our work on leadership and sustainability seeks to enable personal and collective transitions to living in harmony with each-other and the planet. Leadership that makes a positive difference to communities and environments is the only leadership worth practising or learning. To us, sustainability means that everyone thrives in harmony with the biosphere and future generations. That does not mean maintaining or spreading a particular way of life, but a transition from behaviours and systems that are destructive, towards those that restore the environment and support individual rights, wellbeing, and community. It implies a systemic shift; large numbers of persons and organisations acting in a significantly different way. A transition to sustainability involves promoting ecological integrity, collective wellbeing, real democracy, human rights, support for diversity, economic fairness, community resilience, a culture of peace, compassion and inquiry, and the appreciation of beauty. Studies of positive transformations suggest this shift will require interacting cultural, economic, technological, behavioural, political and institutional developments at multiple levels. Leaders during social transformations appear to have transcended a concern for self, yet sufficiently sustained their wellbeing, and empowered others. Therefore our work seeks to connect the systemic and the personal, and mobilise insights from diverse schools of thought on how transformations occur. Consequently, our research focuses on actionable knowledge, action research, combining diverse disciplines, linking local with global, and learning from old and new teachings that arise from diverse cultural settings. With us, you will not gain a straight-jacketed PhD in management, or politics, or sociology, but produce insight that is highly relevant and interdisciplinary. Within the framework of transition, we are particularly interested in three areas. Transformative Leadership: how to encourage the attributes and competencies that enable someone to participate in social transformation; how organisational and societal transformations occur; how to encourage personal transformations and wellbeing through learning experiences. Innovative Resourcing and Exchange: innovative ways for people and organisations to share, swap, rent, or exchange, with or without official money; sharing economy, collaborative consumption, complementary currency; implications for business development, international development, and policy; implications for donors and foundations, including more catalytic and transformative philanthropy. Scaling-Up Transitions: approaches that hold potential for the scale of change required by current global challenges; public policies for scaling social innovations; transformative cross-sectoral alliances; disruptive innovations in existing markets and industries. If your research interests relate to this, please read on about our approach, to consider whether to submit an initial inquiry. Proposals need to reflect some of this journey, and a thesis will need to demonstrate these outcomes were pursued and somewhat achieved. Myself and my co-supervisors will help doctoral candidates along this journey: you don’t have to have everything mapped out already, but be open to this depth of inquiry. Information on what I do is on the University website. Still interested? Then please send me some information about yourself and your idea in the following format, by December 17th 2012. Your Idea: Tell me in half a page what your area of research is, what your overall research question might be, why it is relevant to leadership or sustainability or transition, what existing research you have done on it, what stakeholders you have engaged about your research idea, and what existing theories/disciplines (if any) you think are relevant to it. If you have a provisional research question, then include it. Please attach a one page CV and a sample of existing writing, ideally already published. That is 2 pages in total (1 on research and 1 on CV), and a piece of writing. Provide a skype ID or google talk ID so that we can interact more easily (my skype: jembendell). I will contact you within one month of you submitting your information, potentially to discuss further your ideas and help you prepare a full proposal to the University. Please note that information on our Institute is not yet available online – by joining the Institute you will help to shape our emerging programmes. An important milestone arrives in October – my 40th. 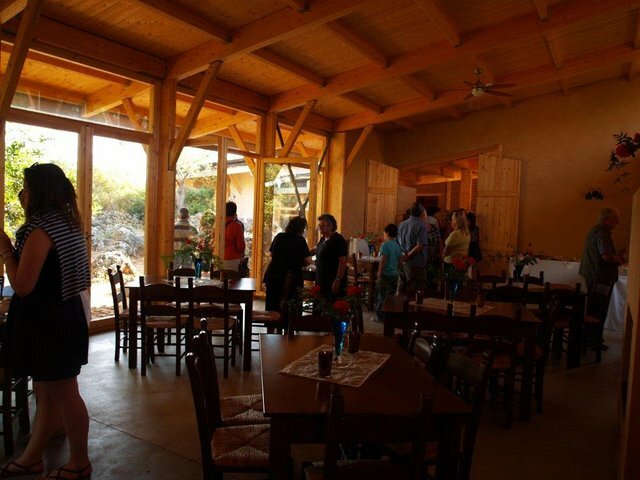 I’ll be in Crete, where friends in the field of sustainability have created a unique place for experiential learning about sustainable enterprise and living. Lovely people doing great things across Europe will come together for the ‘end of summit’ party, and my birthday, in true Cretan style with lots of tasty local food with far too much wine and raki accompanied by raucous Cretan music and dancing! 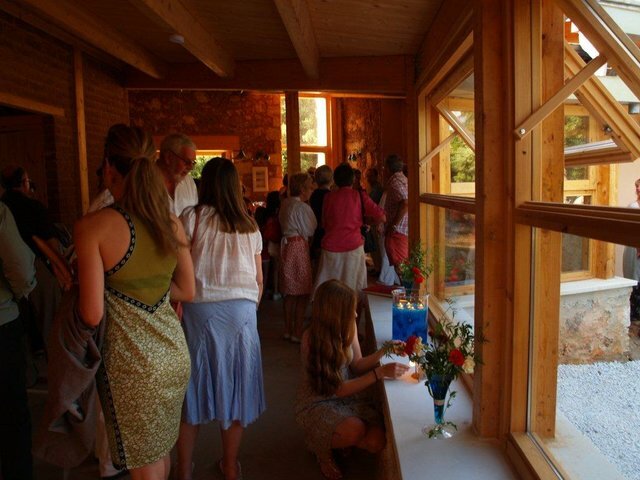 Would you like to join us in a stunning state of the art eco-building in an ancient Cretan olive grove with 2000m snow capped mountain backdrop? I would be chuffed if you did. My birthday, Friday 12th October, will be the final day of the Inaugural Summit of the European Sustainability Academy (ESA). So, if you are interested in sustainability or social change, then you would enjoy arriving earlier in the week for some of the courses and events. And especially if you are inquisitive about wellness practices, such as Yoga or Qi Gong, which will occur at various times that week. 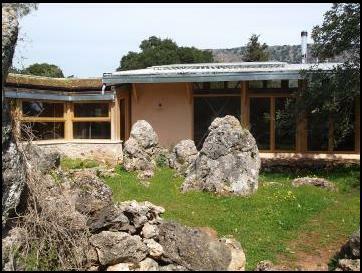 Then on Saturday 13th October there is an organised tour of local eco-enterprises and a boat trip. The party will be happening at Liberta Villas, 2km from ESA in the village of Palaloni. I’m promised its an exquisite location with a stunning 2600m mountain backdrop. ESA is on the edge of the village of Drapanos. Liberta has some accommodation, as do the two villages, and there is still more at the nearby beach town of Almyrida (email Sharon for info: Sharon.Jackson at eurosustainability.org). I hear that in Greece right now there is an exciting air of change and thirst for new ideas and innovations. On the 10th I will co-lead a seminar with Matthew Slater of CommunityForge.net on creating and participating in alternative exchange systems and community currencies. We will be joined by Greeks who are pioneering these solutions to the current crisis. On the 11th I will support my Lifeworth colleague Ian Doyle in leading the now-famous ‘Giving Voice to Values’ training, which helps us to understand our values and express them in difficult situations. On the morning of the 12th there will be a ‘sustainability leadership’ round-table involving some Young Global Leaders of the World Economic Forum. Then Eva Voutsaki, from Crete, will guide us through a process of developing autobiographic narratives for clarifying our personal goals, and Ed Gillespie, from Futerra, will helps us explore the importance of authenticity in our communications. Greek pioneers of sustainable enterprise and lifestyles will also be attending during the second week of the summit (which starts Oct 8th). The programme will be uploaded and updated soon at www.EuroSustainability.org. 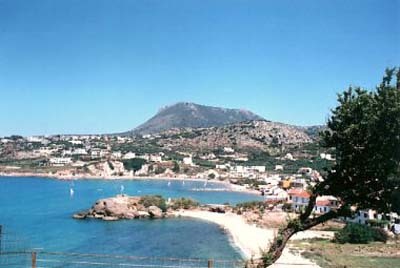 The nearest airport is Chania, and Heraklion is an hour and a half away: www.whichbudget.com and www.skyscanner.net are places to find out routes. At least one guest is coming by ferry and trains. See http://www.loco2.com/ or ask me for info on overland/sea transport (as you could travel with other sustainability adventurers). There’s no cost for attendance on the 12th or for the party. No presents either, please. Just support something local if you want to (we’ll come up with ideas). If you want to come earlier in the week for some of the events, which makes total sense, or even the full 2 week sustainability summit (what a treat! ), then please email Sharon Jackson about details and fees: Sharon.Jackson at eurosustainability.org As the academy building isnt huge, and transport is cheaper if booked earlier, you should go for it now! I do hope you can come and help me celebrate in a meaningful way. Jackson A.S, Drapanos, 73008 Vamos, Chania. Here’s a clip of an interview I did at the World Economic Forum when accepting being made a 2012 Young Global Leader. I was asked about characteristics or attributes of needed leaders today. Information on why Im a YGL and what it means is in Lifeworth’s announcement on the subject.